Most people need assistance from a financial service provider in order to buy a home. Properties are incredibly expensive and you will find yourself having to either take out a bond or apply for finance in order to buy your home. There are several things to keep in mind when you are applying to borrow money for a new house. Keep in mind the following tips and advice. Because a home loan is generally bigger than a vehicle loan or any other type of credit, you must think very carefully before choosing the home loan that you go with and before choosing the financial service provider that will finance your property. It is important, when trying to qualify for a home loan, that you can comfortably afford the monthly repayments with interest that you will have to make. Make sure that you look at houses in the right price range when you are looking to buy a property so that you know that you will be able to afford the monthly loan repayments with interest comfortably on your salary. Do not bank on increases that you have not yet received. Make sure that you can afford all of your essential living expenses as well as savings and spending money and then work out what you can spend on loan repayments. If you have been blacklisted, if you are already overwhelmed by debt or if you have a very low credit score you will not be the ideal candidate for financing. It is a good idea for you to work on achieving a high credit score and making sure that you have no negative listings against your name. Financial service providers are not likely to offer financing to anyone who looks like a risk. Make sure that your credit record is good before you apply for a home loan. 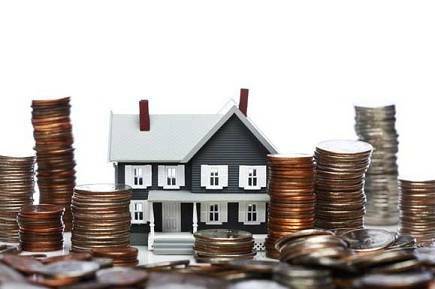 It is a good idea to save up beforehand for money for a down payment on your property. That way you will not have to apply for the full amount in a home loan. You will be able to apply for a smaller amount and your interest rates will be lower. A financial service provider is more likely to approve your home loan if you have already invested some of your own money in the property. It is important to note that you could also purchase your house by use of a bond if you cannot achieve a home loan. Another good thing to keep in mind when shopping around for financing is that you should always go through a reputable financial service provider with a good track record and a happy and satisfied customer base. There are many less reputable financial service providers who will offer credit to individuals with bad credit scores or those who are blacklisted. These loan shark agencies may even offer financing to people who cannot actually afford it on their current income. It is a very good idea to avoid these companies and to make sure that you only approach reputable financial service providers for financing. If you would like more specific advice relating to your particular situation it is a good idea to visit your financial service provider, explain your situation and find out what can be done. Speak to a realtor about working out what sort of price range you should be shopping for homes in and if you find yourself in over your head with debt, speak to a debt counsellor for help and advice on how to manage your situation.